Country fans who know what’s up lost their minds on August 2nd when it was revealed that Dwight Yoakam would be releasing a bluegrass album called Swimmin’ Pools, Movie Stars via well-known bluegrass label Sugar Hill September 23rd. Now we have more details on the record, including the track list and cover art. The 11-track album features Dwight Yoakam reprising many of his signature songs (and possibly a Prince cover?) in bluegrass form. (UPDATE: Confirmed – “Purple Rain from this album IS a Prince cover). One of the big songs after the project was first unearthed was which songs Yoakam would possibly cover. Though some of the songs are some of his bigger “Hits,” a few of the tracks are a bit more obscure cuts. 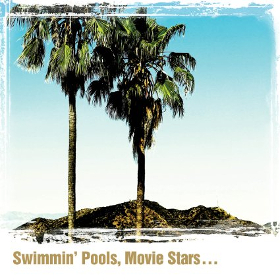 Swimmin’ Pools, Movie Stars was produced by Jon Randall, nine-time Grammy winner Gary Paczosa best known for working with Alison Krauss, and Yoakam himself. Dwight assembled an all-star crew of bluegrass players and singers to put the new record together, including Bryan Sutton, Stuart Duncan, bassist Barry Bales, Adam Steffey on mandolin, and banjo player Scott Vestal. The new album also features harmony vocals by Jonathan Clark, Brian Whelan, Davey Faragher and Bryan Joyce. Yoakam also has a mess of tour dates coming up, including an appearance at AmericanaFest the 3rd week of September. No word as of yet just how much bluegrass material may make it into the set before or after the album release. I’m really looking forward to hearing this. It seems like Yoakam’s voice is a perfect fit for doing bluegrass and, as mentioned, it’s an all-star lineup backing him up. I can’t wait! The Derailers did a pretty good cover of Raspberry Beret. Happy to see “Two Doors Down” made the cut.There’s nothing Dwight has done that I don’t love, but that song is my favorite…can’t wait to hear what he’s done with it. One of my all time favorite songs. It helped make me love country music. Dwight is one of the finest writers in country music. “Two Doors Down” is as fine as anything Hank Sr ever wrote. I’m one of the biggest Hank Williams fans you’ll ever run into…I’d put “Two Doors Down” up against just about anything HW ever wrote. I’m so glad I’m not the only one who holds this song with high regard. Honestly think it’s one of the saddest country songs ever written. It’s a hidden classic. Dwight one of those amazing people that can sing in multi genres and absolutely own it. He’s done Bakersfield country, rockabilly, 60s era nashville country, honky tonk, and even some bluesy rock here and there. Bluegrass is no real surprise as he recorded with Ralph Stanley a few times. Check out a tune called Travelers Lantern. Dwight Yoakam is the man. He has always been the perfect example of how country music should “evolve”. I love how he can blend styles but also play traditional styles and make them sound completely fresh. I for one am glad that he chose some lesser known album cuts along with the hit singles. I was a little worried it was gonna be basically a greatest hits package rebranded into bluegrass. But who am i kidding, id buy it eithet way. Lol. Looks good to me! I just got my tickets – I’m lucky that he’s coming up to Alberta for this tour! Home For Sale and Two Doors Down are absolutely phenomenal. Just sad, miserable, awesome country songs. I’ll buy this album for those two songs alone. Dwight has been releasing new music at a pretty steady clip recently, and I suspect will see another new album from his soon. Since this is on Sugar Hill and I believe he still has his other deal in place, my guess is this is just a side project, and they may have purposely not wanted any new material to not interfere with his next album. This is my hypothesis. Im interested in how “Please, Please Baby” will sound with Bluegrass setup. Hands down my favorite song of his. 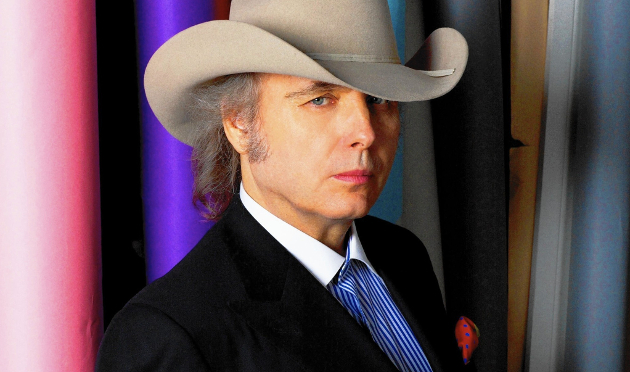 You may think you’re real cool, but you’ll never be Dwight Yoakam cool! I can already tell it’ll be one of the best albums of the year. I’m really glad he chose to stay away from many of his hits and choose to re-record album cuts instead. As a lot of Dwight fans know, Dwight is an excellent songwriter and the reason many of us gravitated us to his albums because he made albums full of great material and well chosen covers. Dwight has always been a underrated artist. Jenk48 – I’m so anxious to get this CD, I love the song Listen from the Long Way Home album, which is one of my favorites. I have loved Dwight since 1986, and I’ve seen him live a couple of times and met him. He’s so gracious to his fans, and he appreciates all of us. He’s the King of Cool, he really is. I have all his albums, but haven’t heard about Circle III – what is that? I’ve pre-ordered Swimming Pools, Movie Stars and can’t wait to get it. I really love this man!!! If you’re referring to my comment above about “Circle III,” this refers to the Nitty Gritty Dirt Band’s “Will the Circle be Unbroken – Volume III” where one of the collaborations was with Dwight Yoakam. Having a hard time imagining Purple Rain done with a banjo, but a fiddle could work. Already feeling like this might not be my favorite song on the album. But who knows, Dwight might just surprise me. I have loved Dwight’s music since the very first time I ever heard him! He is a phenomenal musician, what talent. I can’t wait to hear his new album. He is one of the few living, and still performing, country artists who doesn’t make me wonder which style of music I am listening to. Dwight is one of the best of the best in my book! this should be awesome, Dwights the man. Yes, I’ve embedded that song here as well. Good stuff. “Gone” is one of my favourite Dwight Yoakam songs, so I’m excited to see how it will be done here. Quite an interesting mix of songs – I’ve always enjoyed Dwight’s cover songs since he always has a cool take in them and “Purple Rain ” should be no different. I’m so excited for this album. If it’s as organic as the acoustic album that he released years ago, then I’m sure it will be a staple in my Playlist. Just a heads us, yesterday the Outlaw Country station on Sirius was playing Purple Rain. I don’t know how they chose there playlist, as in if they just pull whatever from an album, or it’s what the label puts out does’t, but it’s in the rotation now it seems. Glad to see lots of love for Dwight here finally. I have been a reader and occasional poster here for a few years now and seldom do I see Dwight mentioned as a favorite. I have everything he has released and think he is as good as any country artist period. Love his rocking stuff (coming here as I do as a late bloomer for country but a long time rock and roller), his acoustic album and his eclectic choice in covers (anyone that can do justice to a queen song is above criticism). I suspect his cover of purple rain will be bafflingly different and brilliant. I loved his takes on the kinks tired of waiting and the clash’s train in vain, both done nothing like the originals but still fantastic. I’ll buy this release without pause upon release, as I have since the late 80s when I discovered him. One reason you may have not seen as much Dwight coverage here as one might expect is because when Saving Country Music first started, Dwight wasn’t doing much in music. He was still doing small casino tours, but it appeared he was devoting much of his time to acting. In the last few years, he’s really stepped up his music output again, and that’s resulted in more coverage.